I hope you all had an AWESOME Thanksgiving!! It is absolutely my favorite holiday of the year and I ate until I felt sick! 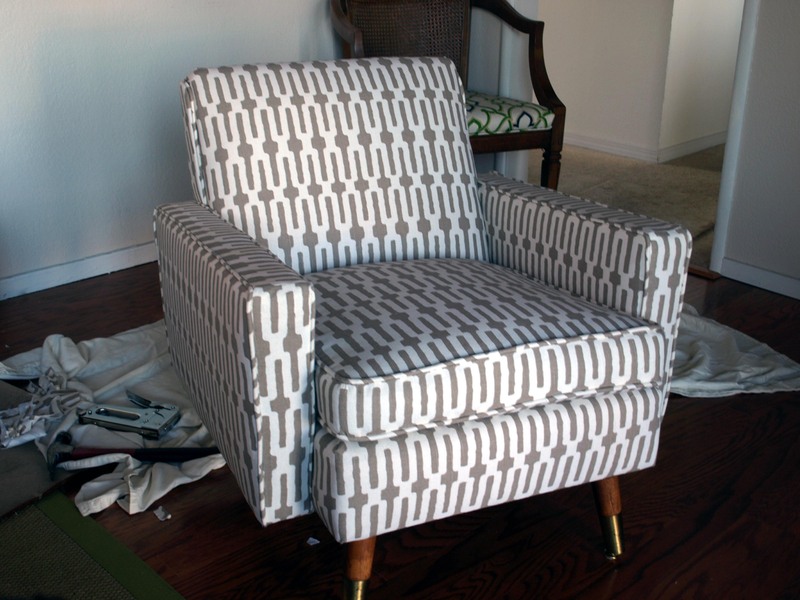 Just About Home gave a great tutorial on how to reupholster a chair - and might I add I LOVE this chair!! The fabric and style are awesome! Julie's Jotter shared her baby girl's nursery - it has an adorable gallery wall and is full of birdie goodness! This refinished blue desk from Oops! Redone turned out great! I love the beautiful blue with white handles! Imperfectly Polished showed her awesome jewelry display - I love the layers and textures! Now that Thanksgiving has passed, I give you all permission to decorate for Christmas! (Just kidding!) All In A Day made a great Christmas pillow - it looks great in it's simplicity! I wanted to thank Beckie from Knock Off Decor for featuring my Target knockoff pillow. Also, thanks Cassie for letting Beckie use your photo! For those of you crazy brave enough to venture out shopping today, I hope you survived! how cute are those birdies!!!! great features, katie! Ahh! Thank you for featuring me! Her nursery was a real labor of love and super fun to work on! I hope she loves it as much as I do! I was curious how you found me! I'm glad you did because I took a tour of your blog and am excited about trying some of your tutorials! I really love those owl ornaments! Thanks again!!! 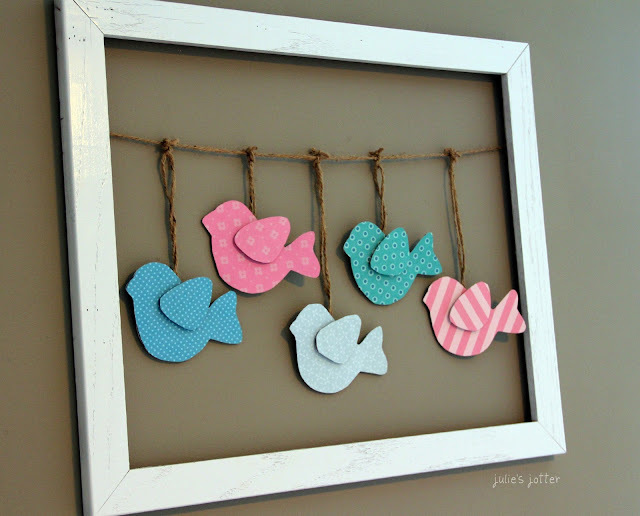 love the bird and frame idea!! As usual, awesome features! Always love the features! The sweet, framed birds are darling!! Thanks Katie! I love your blog and your creativity! Aw, thanks for featuring our chair! what fun features. i *LOVE* that tree pillow!! I would love that desk in my new basement!